Did Kevin Owens just use the Stunner as his new finisher? In the main event or SmackDown this week, Owens got the three count on Daniel Bryan, thanks to a well timed Stunner. Owens has long admitted to being a huge Stone Cold fan. In 2015, KO recalled meeting Austin 10 years prior while on an airplane, where he asked the Texas Rattlesnake for promo tips. This is even the first time Owens has used the Stunner in a WWE ring. During a match in 2017, KO broke out the Stunner on Roman Reigns and even got some pointers on hitting the move from Austin himself on the laughter's own podcast. After tonight's episode of SmackDown Owens even tweeted to Austin that he finally figured out the move. Who is this new version of KO? It feels more and more like WWE is positioning Owens as a returning baby face. 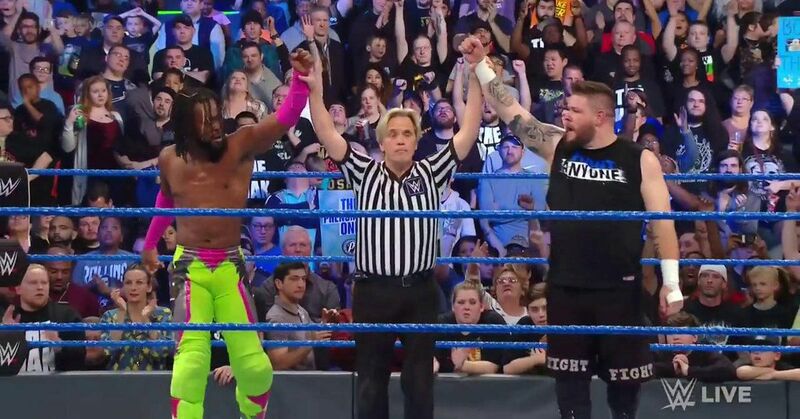 Despite taking Kofi Kingston's spot at Fastlane Owens when pitted opposite Bryan feels like a wrestler fans to cheer for. Is this the start of a Kevin Owens face run on the main roster? SmackDown results and coverage here .